Prime Designs offers unparalleled excellence and creativity. Great fun alternative to embroidery. They are sewn onto baseball cap, T-shirts, backpacks etc. Any wearable is perfect for these appliqués. They can show fine detail where embroidery cannot and can be made in any shape and size. 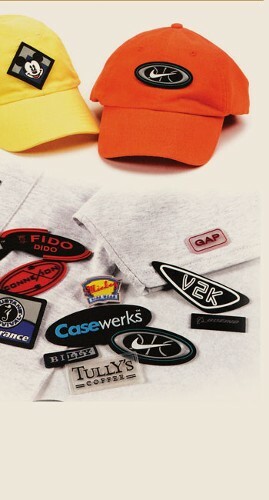 Nike, Polo Sport and Gap are currently using PVC applique. • Shipping weight 2" size (per 1000) approximately 28 LBS.